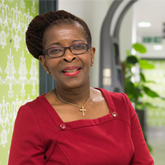 Show the Government it’s time for a rethink, says RCN President Cecilia Anim. On 4 June I joined hundreds of RCN members on the streets of London to protest against changes to student funding in England. I was struck by two things. Firstly, the diversity of people marching – young and old; doctors and nurses; midwives, health care assistants and retirees. Many protesters had no connection to health care, but everyone I met was convinced that these changes are bad for nursing and patients. Moving through the crowd, I asked past and present students about the importance of their bursary, and I was moved by the answers I received. ‘My life’, ‘everything’, ‘the difference between a good month and a bad month’. There were more tangible answers too: ‘My petrol to get me to placement’, ‘textbooks’. A single parent told me she uses her bursary to pay for childcare. It confirmed what I knew already. Nursing students are unique. Half their time is spent in clinical practice. They have longer terms and fewer opportunities to take on part-time work. And thousands of mature students apply each year, many of whom already have a degree. These reasons, and many more, help to explain why student funding is so closely linked to attracting people into the profession. They explain why, in a survey of over 17,000 people, two thirds said they would not have become a nurse under the new funding plans. They explain why the RCN is concerned about the potential impact of significant debt on those from BME backgrounds or different socio-economic groups. Questions too, about placements and mentorships, remain unanswered, but it’s not too late to voice your dissatisfaction. The consultation on student funding will close on 30 June. I urge you to respond, and in particular to answer question 14. We must continue to apply pressure and show the Government it’s time for a rethink.